A raw, edgy, emotional novel about growing up punk and living to tell. The Clash. Social Distortion. Dead Kennedys. Patti Smith. The Ramones. Punk rock is in Emily Black's blood. Her mother, Louisa, hit the road to follow the incendiary music scene when Emily was four months old and never came back. Now Emily's all grown up with a punk band of her own, determined to find the tune that will bring her mother home. Because if Louisa really is following the music, shouldn't it lead her right back to Emily? Stephanie Kuehnert got her start writing bad poetry about unrequited love and razor blades in eighth grade. In high school, she discovered punk rock and produced several D.I.Y. feminist zines. She received her MFA in creative writing from Columbia College Chicago and lives in Seattle, Washington. 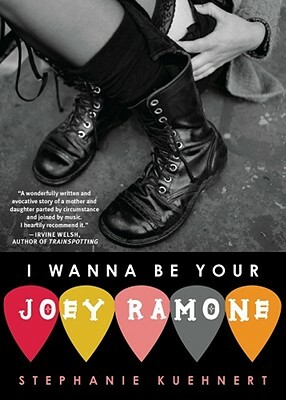 She is the author of Ballads of Surburbia and I Wanna Be Your Joey Ramone. Learn more at StephanieKuehnert.com.